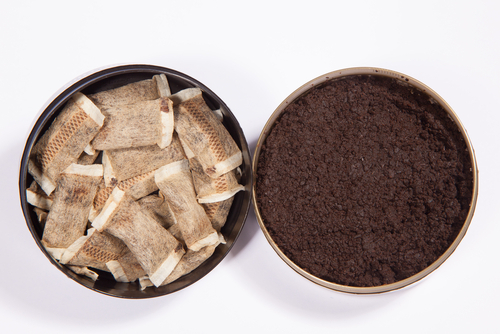 As we near the end of April, which just so happens to be Oral Cancer Awareness Month, the team at our Nottingham dental office thought we should talk a bit about the oral health concerns associated with smokeless tobacco. Some individuals may assume that since it’s smokeless, chewing tobacco isn’t as harmful as smoking cigarettes. However, even though there isn’t any smoke accompanying chewing tobacco, there are still health risks associated with the habit. Everyone should be aware of the signs of oral cancer because even though the risk of the disease is greater in tobacco users, the truth is, oral cancer can happen to anyone. The signs of oral cancer can easily be misdiagnosed as something minor, so if you notice any of the symptoms below, call your dentist in Nottingham as soon as you can. If you use tobacco of any kind, it’s incredibly important for you to see your dentist at least twice a year to keep an eye on your oral health and identify any potential problems early. Don’t have a dentist? Give our dental office in Nottingham a call to schedule an appointment today.